A perfect starter or side dish to a fall meal. 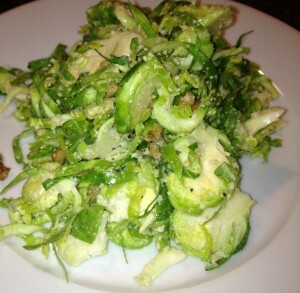 Finely chop brussels sprouts using a sharp knife, a mandoline, or a food processor with a slicing attachment. Combine all ingredients. Make 30 minutes prior to eating to allow the brussels sprouts to soften. Place chicken, diced tomatoes, and taco seasoning in a heavy pot over high heat. Bring to a boil, reduce to simmer and cover. Cook approximately 1 hour until chicken can be easily shredded. Shred chicken using 2 forks and let cool. Preheat oven to 375 degrees. Mix cooked chicken with cream cheese, green onions, shredded cheese, salt and pepper. Line a baking sheet with a silpat or parchment paper. 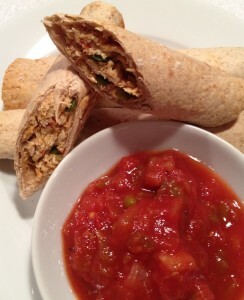 Using 1/4 cup of the chicken mixture place on one end of the tortilla and wrap ending with seam down. Once all the taquitos are wrapped spray the tops with cooking spray and sprinkle with salt. Bake approximately 15-20 minutes or until golden brown. Everyday I get an e-mail from Hungry Girl and everyday I delete the e-mail without ever reading it. It is one of those things I should unsubscribe too and for some reason I find it easier to just delete the e-mail everyday. 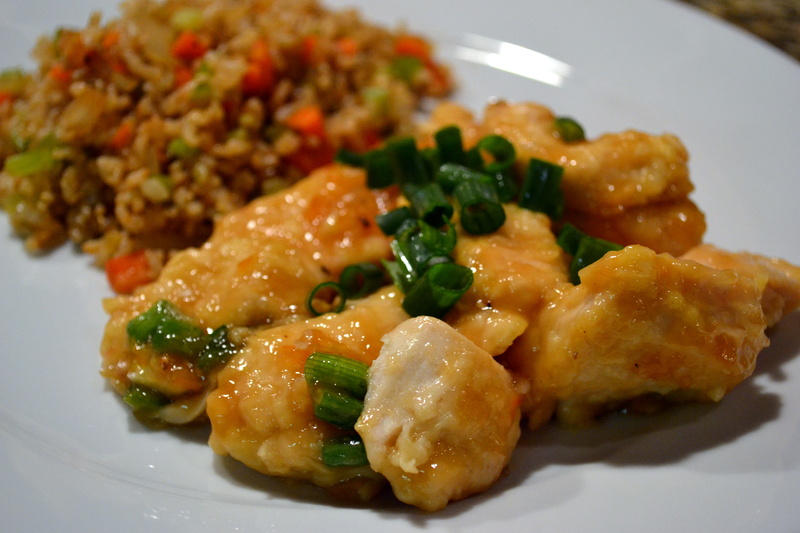 Well, this one day a few weeks ago the title of the e-mail must have caught my attention because I opened it and found what sounded like a delicious healthy swap for Chinese orange chicken, which happens to be one of my favorite Chinese dishes. So I thought why not lets try it, just because I never had luck with any Hungry Girl recipe in the past, this one might be different. So to my surprise with a few alterations, the dish was actually pretty tasty. So below is the recipe that I used, the original is on the hungry girl website. Place chicken in a large bowl and season with salt and pepper. Whisk together egg and water and pour on top of chicken. Place flour in a plate. Individually lift chicken from egg mixture allowing excess to drop off and coat in flour. Place on baking sheet. Bake for 10 minutes. In a bowl, whisk broth with cornstarch until cornstarch has dissolved. Add marmalade, vinegar, soy sauce, and thoroughly whisk. 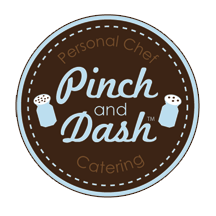 Click on the below link to enjoy the first Pinch & Dash Newsletter.